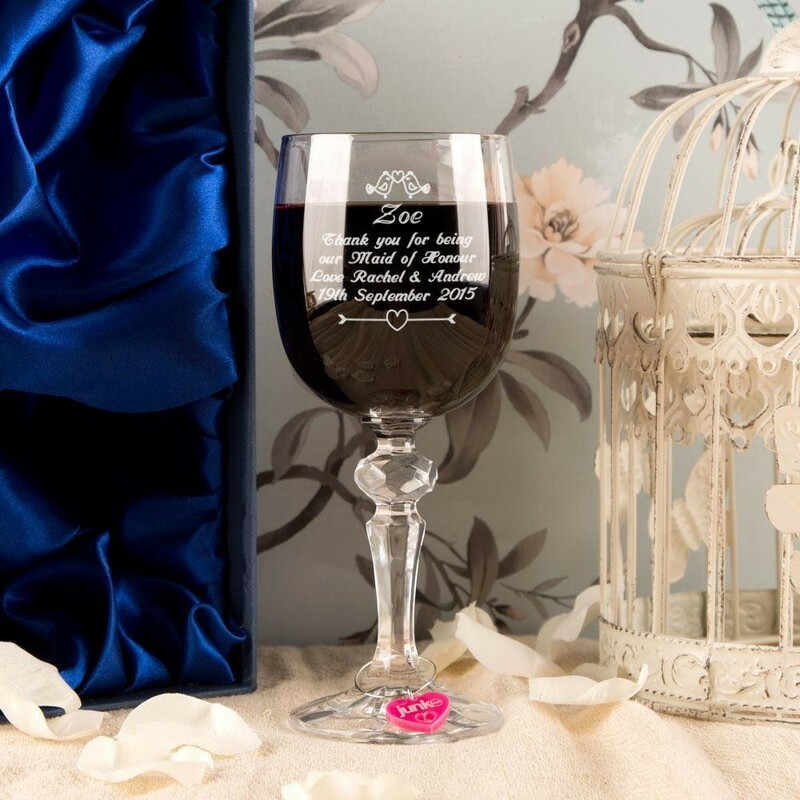 A maid of honour is one of the most important members of your wedding party, and this engraved crystal wine glass will make the gift to thank her for all the help she's provided on your big day. The design features two birds that were originally hand drawn and a heart with arrows through it at the end of your message. 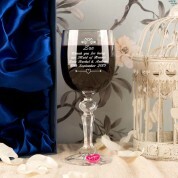 The glass comes complete with your maid of honour's name under the bird design, a message of your choice and a pink heart Junko branded wine charm. A navy presentation box is included with your glass, with a blue silk lining inside it. 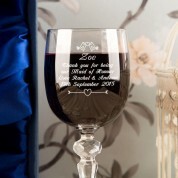 This personalised glass is perfect for holding a glass of wine inside on the wedding day or after the special day has passed. Dimensions: 220ml capacity, approx. 17.5cm tall.